Here are some of my original “fractured” nursery rhymes. 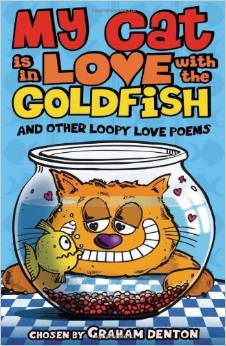 Note: The poem Jack and June was included in a children’s poetry anthology titled My Cat Is in Love with the Goldfish and Other Loopy Love Poems. The book was published by A & C Black (London) in 2010. Jack broke his nose and seven toes. To soothe her injured mate. And asked him for a date. And wed the very next day. Mary had a little moon. It shone just like a star. She brought it in a jar. The brightest thing at school. Humpty Dumpty sat on a star. Humpty Dumpty started to char. This little piggy went to Saturn. This little piggy went to Mars. At Shoot the Wad Casino. And won ten games of keno. Sure wants to be her beau! It’s got wrinkles every place. It’s got crow’s feet; it’s got creases. The aging process never ceases. I’ve got a droopy double chin. Then I’ll look as young as you! Mary had a vampire bat. His fur was black a s night. And promised not to bite. The teacher screamed and ran. 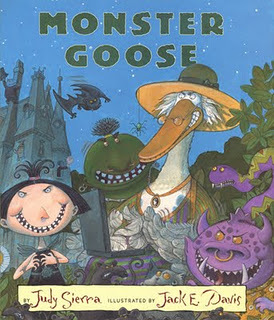 This entry was posted in Humor, Poetry and tagged Fractured Nursey Rhymes, Light Verse, Monster Goose, Original Poems, Poetical Parodies, Poetry Friday. Bookmark the permalink. LOL Elaine! My 11 year old grandson would absolutely love them all, he’s a boy, you know gruesome grimy gofer guts ‘n all that. My 6 year-old granddaughter, who will be starting Kindergarten on Monday, and I had some quiet time yesterday to sit and read the poems you posted. Her favorite was LITTLE JACK QUASAR. Thanks for that. It’s never to soon to encourage children to learn to appreciate and write poetry. Maddi was using poetic license. Good for her! She told her mom she had made a poem for the “Poet Cake Lady”. We illustrated the poem which means, I wrote her poem on a piece of drawing paper then she drew and colored a picture. The picture is a lady carrying a cake (with candles … she just had a birthday) and above the lady’s head is one of those circles, I think they’re called “speech balloons”, with a bunch of random letters inside it. She hung the masterpiece on her refrigerator and told her mom you had made the cake with your hands and you were making the poem in you head … “at home” cause “head” doesn’t rhyme with “poem”. Then she went to karate and beat the snot out of some sweet, little 8 year-old boy. Maddi sounds like my kind of kid! Well then! Glad we cleared that up. Old Mother Hupboard went to the cupboard to get her poor dog, Abone. When she got there, Abone peed in her hair because he preferred to be known as Tyrone.